Almost every business that exists today has some form of online presence whether it be a website, Facebook Page or a web 2.0 property. For those businesses that want to look legitimate, they should definitely have all of the above, most importantly a website. Having a website alone will only help if a few elements come together. Most importantly is the On-Page aspect. The site needs to convert. If you get a ton of visitors whether it is from free organic traffic or from paid ads and it doesn’t convert, then you need to look at ways to see where you are losing interest. A good tool to check how your customers interact with your site is by using heat maps. This will tell you where your customers are navigating on your site and you’ll be able to see if there is some kind of theme where they are dropping off. Another reason why you want to have good on-page is not just for the aesthetics but for the search engines to like your site. If your site is missing your keywords, H2 or H3 tags and your titles are not optimized for what you want to rank for, then you are going to have a page that will be a challenge to rank. This is where hiring an seo expert to help you with not only your on-page sSEObut your off-page as well. Off-page includes all the back-linking and strategies that the seo specialist will use to build up authority to your web pages and help you rank better in Google, Yahoo and Bing. Obtaining one is easy, but finding the right consultant or seo company to do the work for you can be a gamble. See how their own site is ranking in Google or try to get referrals from the company/individual that have ranked other sites. Most of all, stay away from the budget SEO’s from India and abroad. They make wild promises for very low prices and could do more damage than good. SEO can be expensive, and this varies from niche to niche. Once your site is ranked in the search engines, you should definitely start to see more calls and emails coming in. 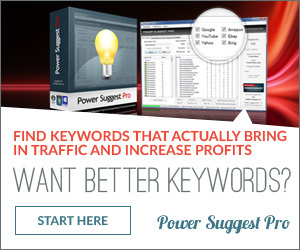 Free traffic is the best traffic there is because it is highly targeted. With ads, say for example in Facebook, you need to distract people to get their attention. With organic traffic, people are searching for something they specifically need. If your business is showing up for their query, you can expect a good return on your investment. In short, hiring an expert in search engine optimization is a smart move provided you do your research before hiring one. Once the rankings are where you want them to be, they should stick and at that point, you are getting true free traffic.